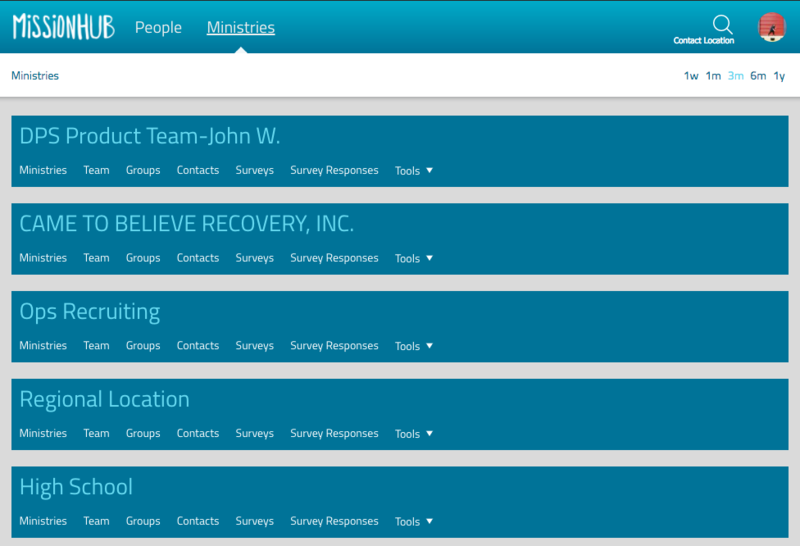 MissionHub is categorized to allow you to see people from your specific ministries. These ministries usually contain contacts from one movement, campus, or ministry. You may have access to one or more than one, either way, MissionHub is organized for your benefit. Sub-ministries may be created within a specific ministry. These may be useful for dividing up departments or teams within same ministry. To create a new sub-ministry, click Tools on the ministry bar. Next, select Manage Organizations from the drop down menu. Here you will be able to add a new ministry by using the left side menu. Type in the name you'd like to use for the sub-ministry and save. Easy! 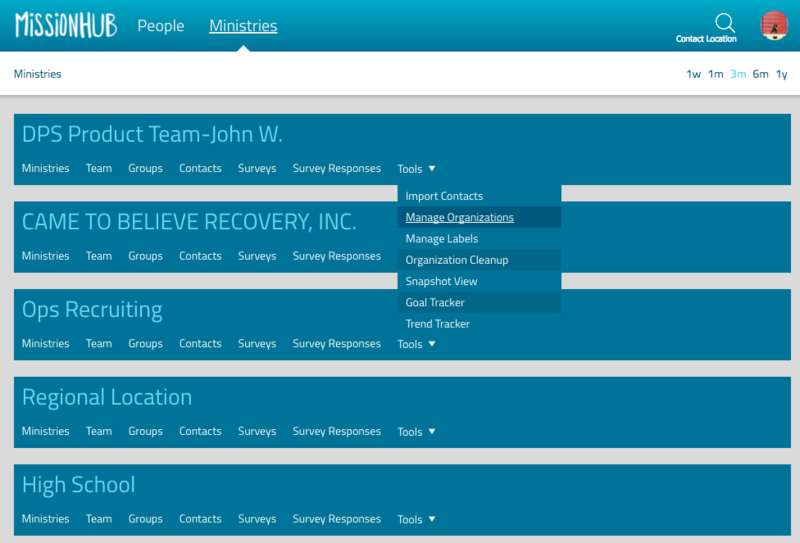 On the dashboard (People), you’ll see each of the ministries where you have people assigned to you. If you have access to more ministry but don’t have anyone assigned to you, they will not appear on the dashboard. Fear not, you can still access them by clicking Ministries in the menu bar. Here you’ll see the list of everything you have access to in MissionHub.